"MAYBE THEY ARE SCARED OF VIJAY!" Vijay's latest film Sarkar hit the screens on Diwali day, that is November 6. The movie had Keerthy Suresh as the female lead while Varalaxmi Sarathkumar, Pala Karuppiah and Radha Ravi had important supporting roles. The film was directed by AR Murugadoss and produced by Sun Pictures. The political scenes in the film have created a controversy, and this led to cadres of a political party tearing banners in theatres and asking for scenes to be cut. The makers also followed suit to avoid any problems, and changes have been made in 3 scenes. Popular activist Piyush Manush had appeared in a scene in Sarkar. Talking about this controversy, he explained why Sarkar is being attacked from all direction. 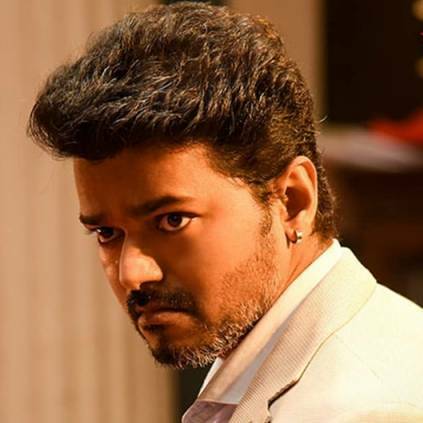 When asked about - Why films like Tamizh Padam 2, and NOTA weren't criticised for it's take on politics, whereas Vijay's Sarkar is targetted, he replied: "I think it is because they are scared of Vijay. The current government is extremely insecure. They didn't conduct even a local body election. This insecurity makes them use police force, put court cases on people. For everything they want to file a case. A governement has to do a lot of work, instead they are only focussed on filing cases against Vijay, Murugadoss and the people." People looking for online information on AR Murugadoss, Piyush Manush, Sarkar, Vijay will find this news story useful.